When walking, running, lifting weights, or just moving around the house, comfort and stability are key to finding the perfect pair of headphones for sports and fitness. 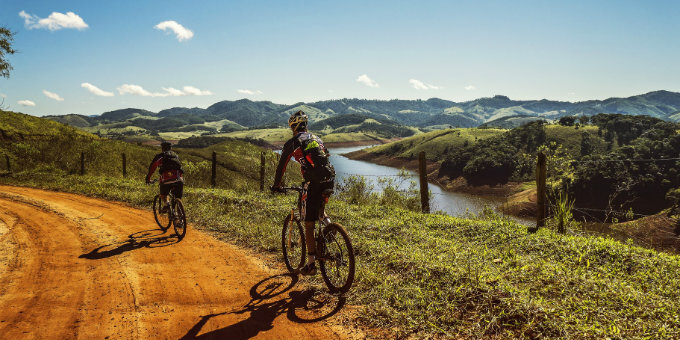 While there are many different factors that go into the final choice of which headphones to buy, individuals have similar preferences when it comes to being active. 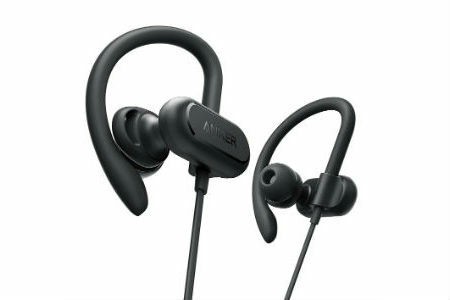 Here is a list of top 10 open-back headphones of 2019 that are great for an active lifestyle. 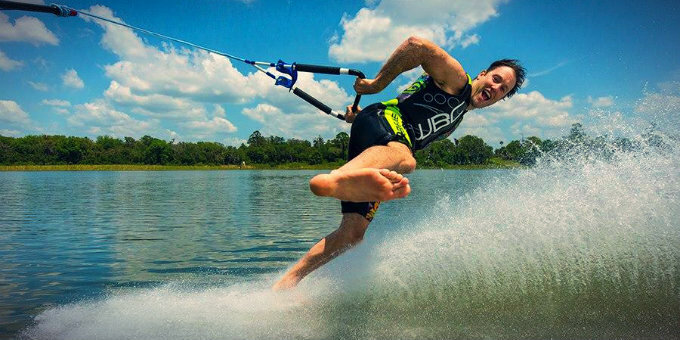 These Waterproof Headphones from H2O Audio are created by athletes for athletes. They are perfect for running outside with unpredictable weather conditions. If it rains, you don’t have to worry about this accessory getting damaged or worse, completely ruined. These are also great for swimmers, giving them the ability to listen to music and have that same pep in the pool as they do in the locker room before they do laps. 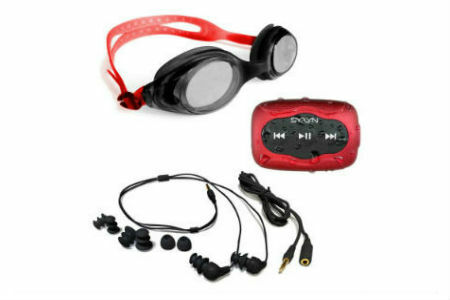 The Swimbuds Headphones & SYRYN MP3 Player original headphones have that same waterproof innovation while including a few other items in the purchase. When you purchase a pair of these headphones, you receive complimentary goggles, FitGoo, and a 1oz bottle of AquaGuard Pre-Swim Hair Defense. 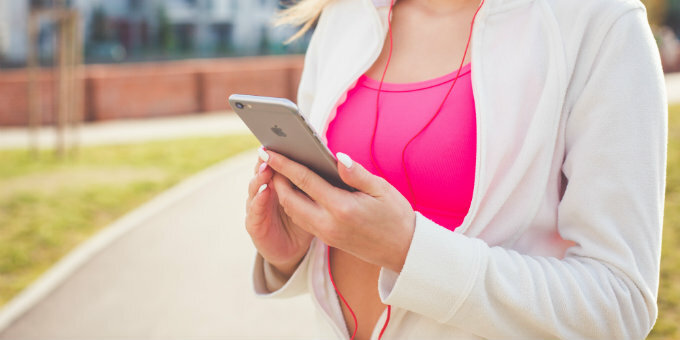 Syrn MP3 gives you the option for shuffle play, eliminating the time it takes to choose a song and using it to focus on your sport. 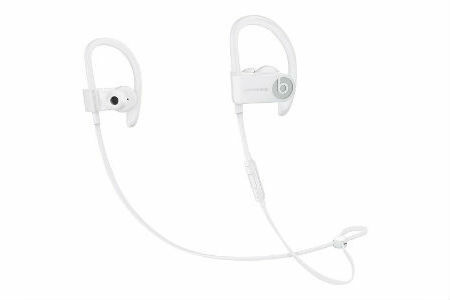 Made by Dr. Dre, famous for the original Beats headphones, these wireless Powerbeats 3 earphones are adaptable for any sport or workout. 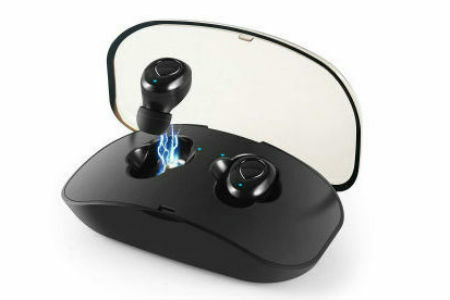 With Fast Fuel technology, these earphones will give you one hour of feedback with only five minutes of charging time. This is great for someone that is on the go and doesn’t have much time to sit and wait for their earphones to charge. They are also available in four different sizes, making them a great fit for anyone. Crislan’s wireless earbuds have a strong connection ability, making it easy to leave your phone on the bench while you lift weights. 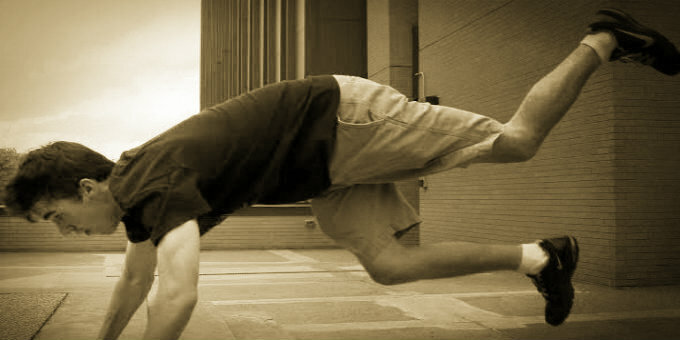 You can keep that strong connection to your music, while you are getting strong yourself. 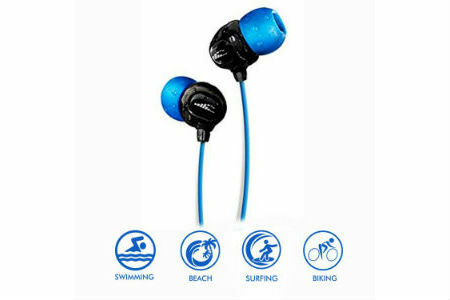 They are made small and have the ability to stay firm in your ear, so you can enjoy your workout hassle-free. Included with these JBL Truly Wireless headphones is a charging case, giving you 20 hours of backup power. They have three different ear tip sizes, as well as different gel sleeve sizes. These allow you to choose how you want them to fit in your ear, depending on the activity you’re participating in. 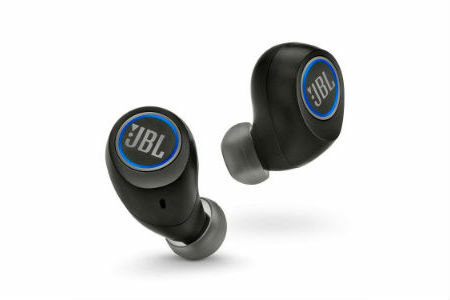 These lightweight, bluetooth JBL reflect headphones have a built-in microphone, allowing you to answer calls during your run, workout in the gym, or just the hustle and bustle of everyday life. These earphones are specifically designed for “freedom during a workout”. 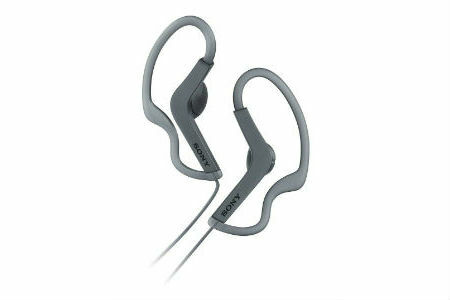 These easy to use, Sony Extra Bass earphones are just that. With one touch pairing, you can start your workout in no time. They come in three colors; red, black, and blue, and have a wrap-around headband that allows you the freedom to move around however you like. These clip-on Sony MDR headphones have an angled earbud structure, tangle free cord, and an adjustable loop hanger to ensure you the comfort and secure fit everyone searches for. They are lightweight with 13.5mm drivers, giving you high-quality sound performance and a feeling that there is nothing even in your ears. They come in three different colors; black, pink, and white. Anker provides a little bit of everything for their customers. 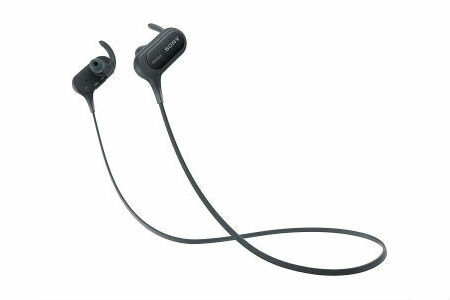 Included in this pair of headphones is noise cancelling technology for a more focused workout, up to 12 hours of battery life for those on the go, Sweat Guard to protect the quality of the headphones, gentle over-ear hooks and silicone ear tips for comfort and stability, Bluetooth for easy connection, and a built-in microphone for hands-free calling. The purchase of these headphones also comes with a travel pouch, a carabiner, a micro USB cable for charging, and an 18-month warranty. 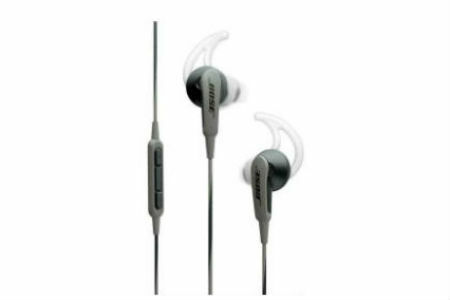 Made with TriPort technology, these Bose SoundSport headphones bring you “crisp highs and natural-sounding lows” for a balanced and high-quality sound. The tips come in three different sizes, giving you the maximum amount of comfort specific to your ear and preference. They also have a built-in microphone and remote, making it easy to switch between songs or answer calls with specific Samsung and Android devices. These headphones also come with a carrying case, so you don’t have to worry about them getting damaged when they are not in use. Not all headphones are going to be perfect for everyone, because everyone has different ideas of what makes the perfect pair of headphones. This list includes a little bit of everything. 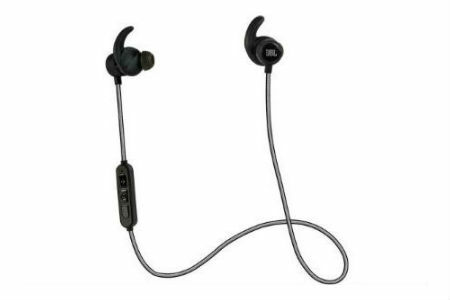 Sweatproof, waterproof, high bass and sound quality, long lasting battery life, wireless cord, bluetooth connection, and many other features. Whatever activity you are participating in, this list has a pair to match.